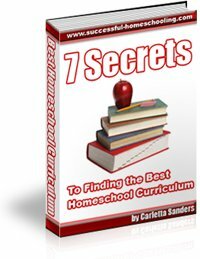 Are you looking for homeschooling curriculum guides that will help you choose the best home school curriculum for each subject? The first step to choosing the right program for your child is assessing your family's needs. Think about your lifestyle, your goals for your child and your child's learning style when making decisions about curriculum. Here's a summary of what you should look for when choosing curriculum for specific subjects, along with links to more detailed information and lists of popular programs. When teaching your child to read, you can choose between a strict phonics program, or a combination of whole-language and phonics instruction. Also think about whether or not you want a program that includes flashcards, games, songs and colorful illustrations, or a simple, black-and-white, book format. 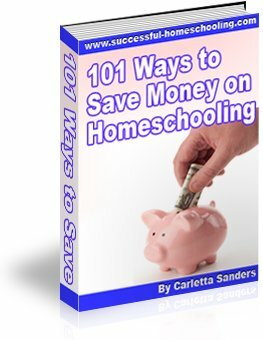 Here are some additional things to consider when choosing a homeschool reading curriculum. Homeschool writing programs can either focus on building creativity, teaching structure and mechanics, or a combination of thereof. In addition to deciding what you want your writing program to teach, think about whether or not you want the program to provide direct instruction or teach you how to instruct your child. Here are some additional things to consider when choosing a homeschool writing curriculum. Math programs typically teach in either a spiral format that introduces many concepts and incorporates frequent review, or in a mastery format that requires children to fully understand a concept before introducing others. In addition to determining what teaching method you prefer, think about how much drill, review and direct instruction your child needs in a math program. Here are some additional things to consider when choosing a homeschool math curriculum. When choosing a science curriculum, look for programs that contain books with engaging text and vivid illustrations, and also use inexpensive, readily available materials. In addition, make sure you are comfortable with the religious perspective of the program. Here are some additional things to consider when choosing a homeschool science curriculum. History programs often present information in either a chronological, regional or interest-led format. In addition to considering how you want to approach the study of history, consider whether or not you want to study history from a religious or secular point of view. Here are some additional things to consider when choosing a homeschool history curriculum.